Two weeks ago I got a text from my neighbor and dear friend Michelle. ‘We were wondering if you would all like to come over for a late breakfast tomorrow (we’re making ebleskivers/little pancakes)?’ I had so many questions (what are ebleskivers? are they the little pancakes? is it something really weird and also little pancakes?) but replied with a hurried ‘yes!’ as two little voices were clamoring for my attention. The next day we walked across our alley, eager for breakfast. We opened the door and there was Michelle working fast and furious over a hot stove, pouring and turning mysterious batter in her special cast iron pan. But we were in for such a treat, for in fact ebleskivers were tiny pancakes: puffy, golden-brown circles smothered in a little too much butter and sugar. I was completely smitten with them, and immediately decided I must spend my days hunting every thrift store this side of the Mississippi for a good ebleskiver pan. 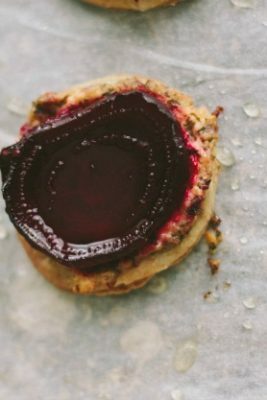 Michelle’s family serves ebleskviers at holidays and gatherings; they are a Danish pancake, known for their sphere shape. There is some arguing over spelling (ebleskiver? aebleskiver?) and, of course, ingredients, but since I am not Danish I will turn a blind eye to all that and share with you this family’s version. I will also tell you that they are perfect. This is Michelle’s family recipe, with the exception of the vanilla bean seeds and vanilla. (We added them just for fun, and loved how they tasted!) 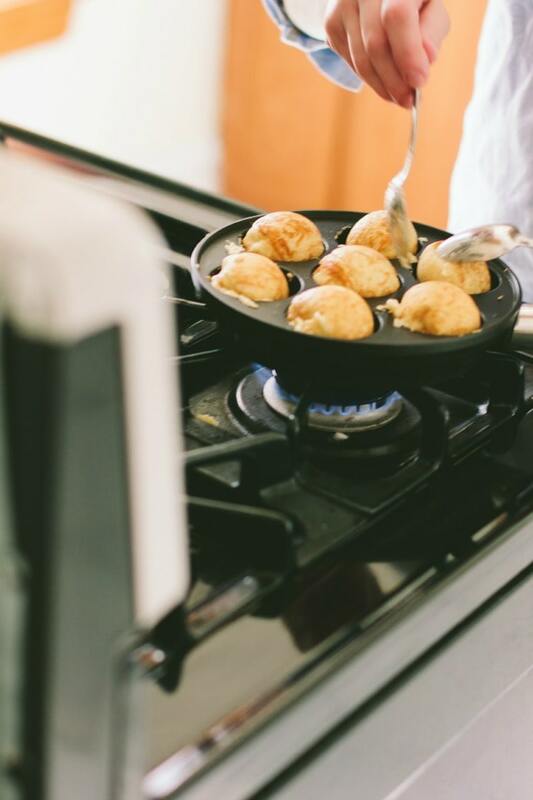 You will need an ebleskiver pan for this recipe. 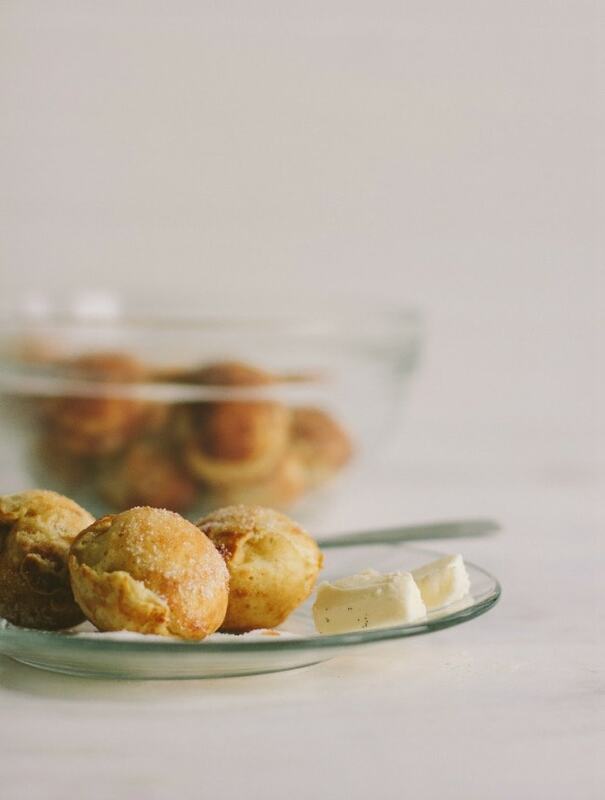 Michelle’s family serves the ebleskivers with soft butter and sugar on the side. 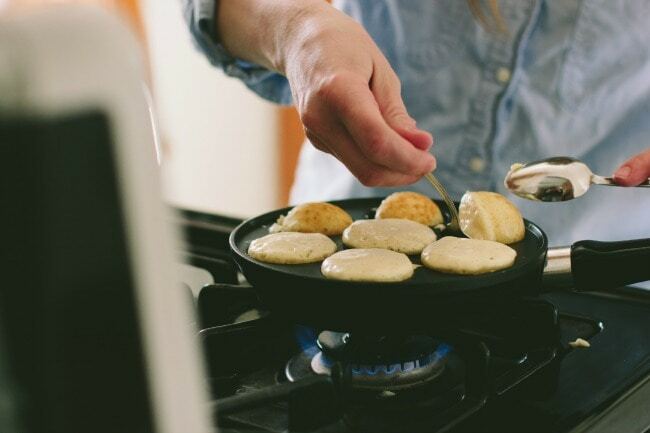 Remember that cast iron pans need to be moderated – once they heat up they can overcook things easily, so lower your heat if your ebelskivers are cooking too quickly on the outside. If flipping seems daunting, here is a You Tube video to help. 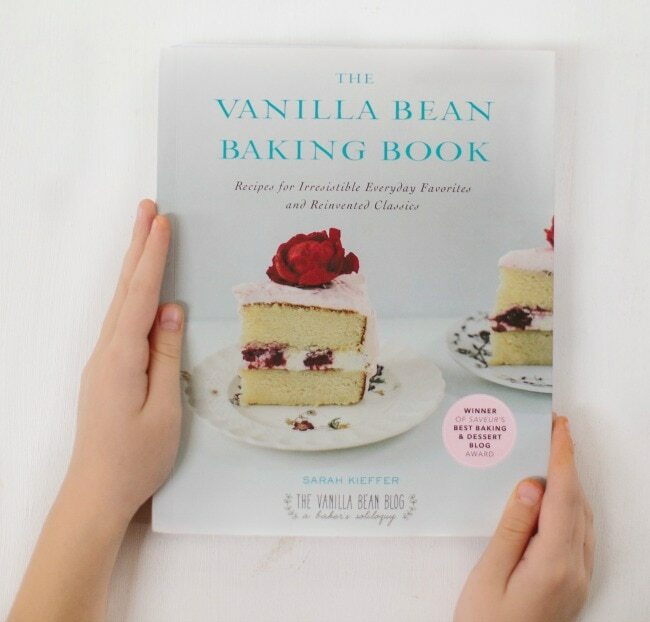 In a large bowl, whisk together the flour, salt, baking soda, baking powder, and vanilla bean. 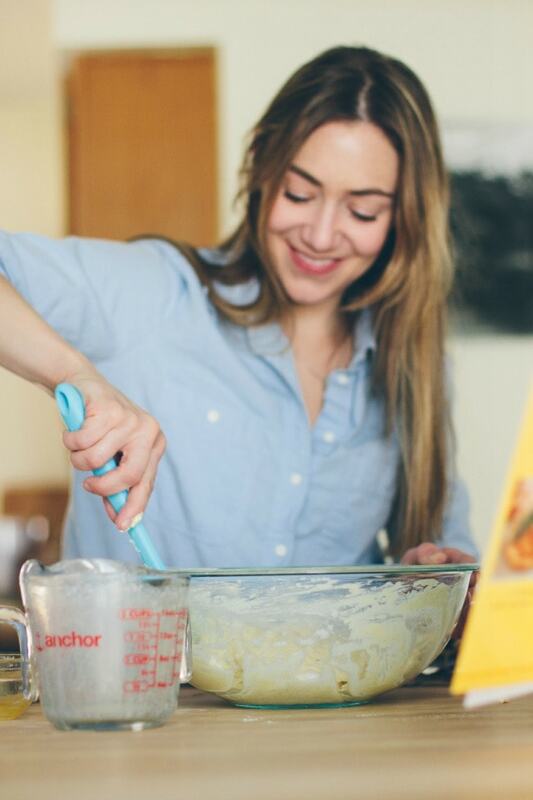 In another bowl, mix together the buttermilk, egg yolks, and vanilla. Add the cooled melted butter, and stir to combine. Add the buttermilk mixture to the dry ingredients, and stir until well blended. The batter should be lumpy. Beat the egg whites until stiff, but not dry, peaks form. 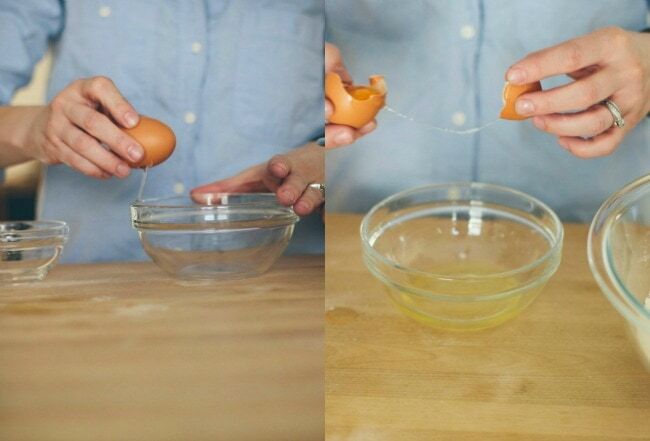 Fold in one third of the egg whites to lighten the batter, and then gently fold in the rest until no white streaks remain. Use the batter immediately. Heat the pan over medium heat. Brush soft butter in each mold, covering it well. Add the batter, filling almost to the top, but leaving a little room. Wait for the batter to set, watching for little bubbles to form in the batter (this can take anywhere from 2-4 minutes, depending on how hot your pan is). Using two spoons, gently flip the ebelskiver all the way over, and let the other side cook until golden brown (if you are unsure if your ebelskivers are done, insert a skewer or toothpick into them, and if it comes out clean it is ready) (See note for extra help). Repeat with remaining batter, making sure to re-brush molds each time with butter. 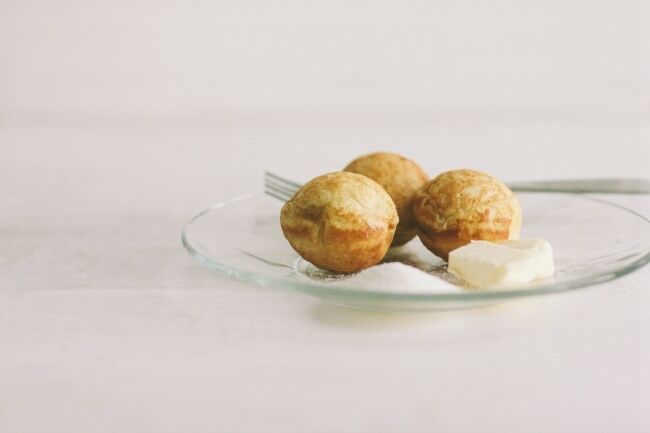 Serve ebleskivers hot, with butter and sugar. These look similar to Dutch Poffertjes which are divine as well! Nothing beats pancakes, especially with too much sugar and butter. As for the pan – it looks incredibly similar to the pans used in Japan to make Takoyaki (little round balls of dough filled with seafood and doused in Takoyaki sauce and mayonnaise). 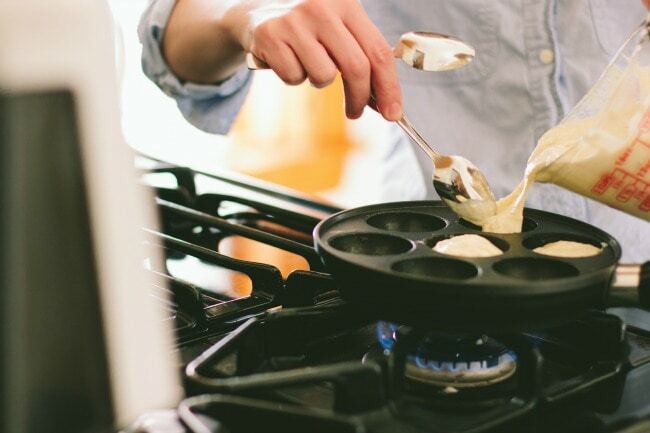 If yo cannot track down an Ebleskivers pan, it might be easier to track down a Takoyaki pan. how fun! i’ve never heard of ebleskivers, but they definitely look like a great variation to a typical pancake breakfast. it’s amazing the way they puff up like that! Learning how to make ebleskivers is sort of a right of passage into our Danish family fold. Michelle is an expert now! And our granddaughter proudly says ” I’m a butter girl!” “Nyde” in Danish. Whenever I see this pan in a store I pass it saying, “You DO NOT need another pan, Sacha.” Well, maybe I do… Lovely! Ahh, they look so beautifully puffy! I’ve had the Dutch version of little pancakes but not the Danish, I wonder about the differences. I’m loving your neighbors! 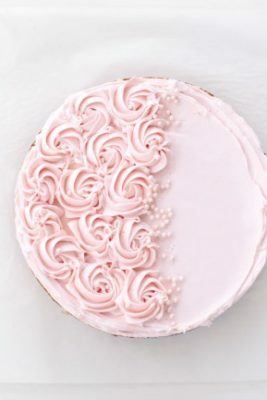 These look just lovely, I’m going to have to find one of these pans! What a lovely neighbour you have! These photos are particularly stunning, Sarah. And those little pancake delights remind me of doughnuts in appearance a bit (and the little roll in sugar helps with that I think). They sound so comforting. 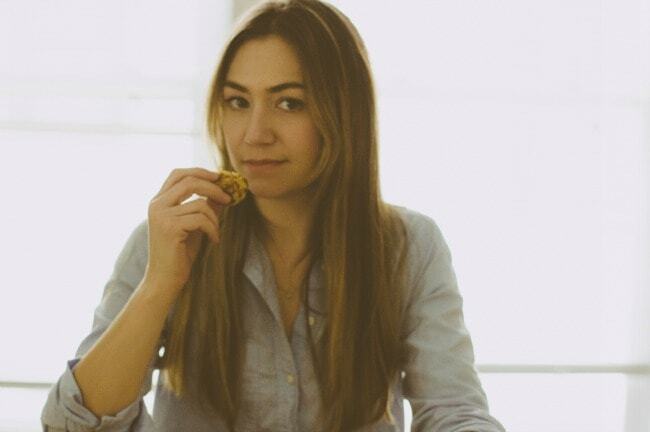 Friday: Newsy Snacks For Busy People | justb. I must say I have never heard of ebleskivers (I feel a bit ashamed, being from Minnesota), but they sound delicious! And I agree with Laura — these photos are stunning. 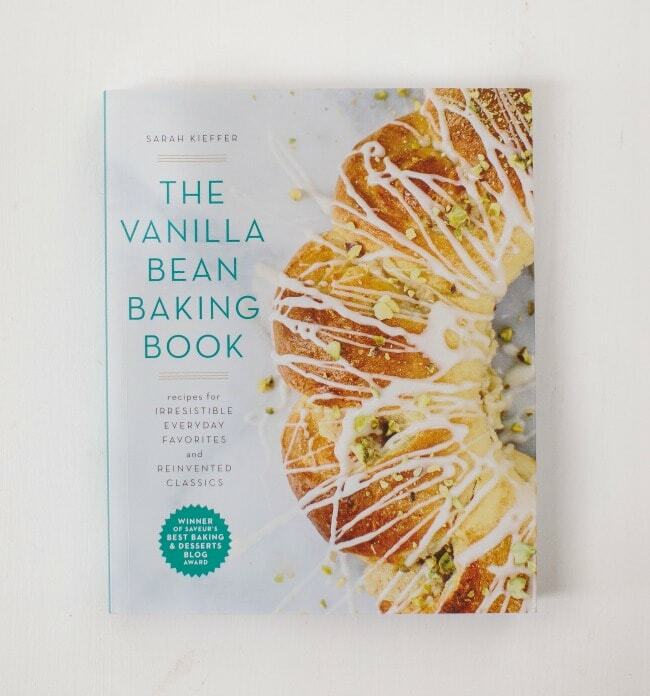 Lovely photographs and a lovely little recipe. I could definitely inhale a plate of these for breakfast right now! These look and sound magical! I love a good pancake story. 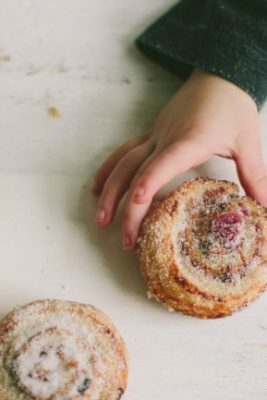 I guess now I’m officially on the hunt for an ebleskiver pan, along with every other fan of your blog, so i can make these enchanting little cakes. I also may spend the rest of the day saying ebleskiver to myself under my breath. My Swedish grandma made these and we call these Ableskivers. I inherited her cast iron Ableskiver pan. We usually had them at Christmas with butter, lindenberry jam and powdered sugar. Gma’s recipe is similar, with the whipped egg whites, but with cardamom and sour cream was included in the wet ingredients. The hard part is making them. Fast enough. Thanks! Will be on the lookout for these pans! 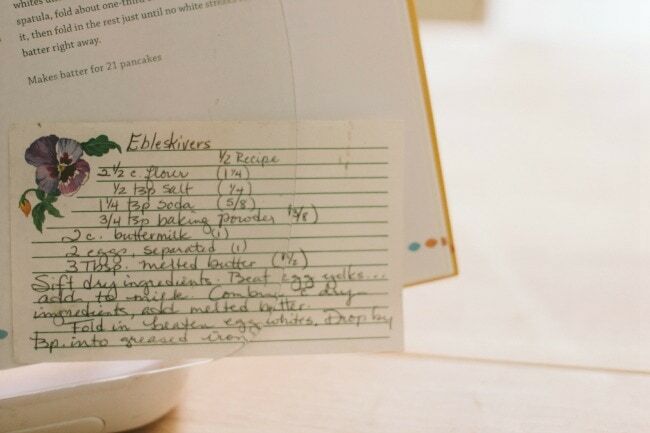 The ebleskivers look like such a treat, and what a great name! This is so interesting! I love the rounded shape. Can’t wait to try! 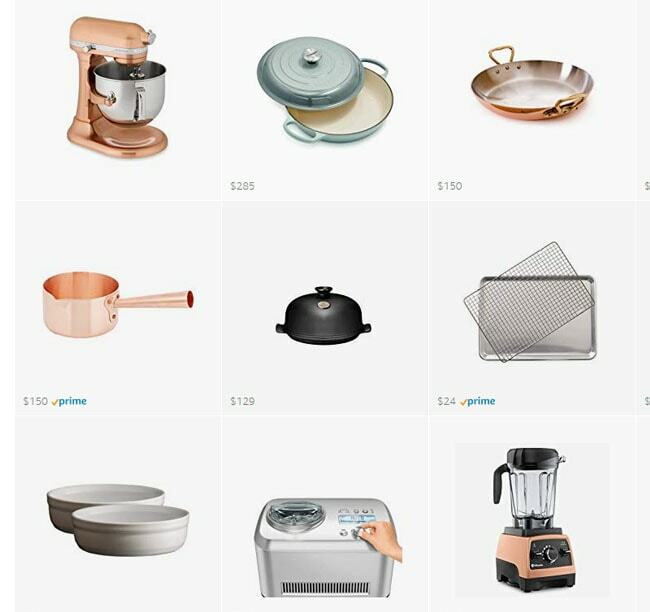 The pans are available at Williams Sonoma. I received one a few years ago and it has become a family tradition to make “pancake balls” weekly for my six year old son. I make a buttermilk mix but add mini chocolate chips to the middles (put half batter in pan, sprinkle a pinch of chips in the middle, and cover with the rest of the batter). We freeze them for easy breakfasts throughout the week. Oh, I’ve also seen a cheaper pan at Target! I want to say it was nordicware brand? A useful gadget is the “pancake pen”, a squirt bottle kind of thing to distribute the batter in the holes of the pan. I’ve also used the pen for cupcake batter! Hmm. This is news to me as well. 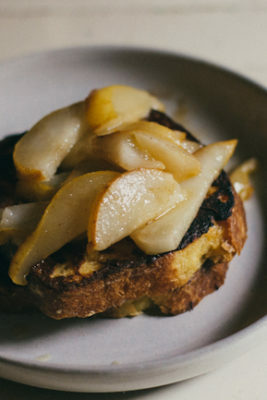 Anything with a name like “ebelskivers” warrants a trying forthwith. Also…new site! Pretty! & I’m going to say the boring but true thing: your photos rule. Ruuule. The best Æbleskiver pans are made by Griswold Cast Iron and you can periodically find them on eBay, at flea markets and thrift stores. They have the deepest cups in the pan and make the roundest Æbleskiver. Don’t purchase a cheap one if you are really going to get into them. You’ll be disappointed (the cups are very shallow). BTW: The Danish American Center has monthly Æbleskiver breakfasts….I believe the next one is April 21. Located at 3030 West River Parkway S (just off of Lake St). Bon appetit! I forgot to add that you can also eat Æbleskiver at the Festival of Nations celebration in May. I also noticed your friend uses a spoon to form her Æbleskiver as she makes them. I have never used anything other than a knitting needle. And my recipe calls for cardamom, lemon zest, and beer. I came across your beautiful blog and thought I would enlighten you a little bit on Æbleskiver (which is the right spelling of the word) since I am Danish and have eaten a ton of these in my life. The word Æbleskiver is the plural form of æbleskive which, directly translated, means “apple slice”. The name comes from the old-timey æbleskiver that actually had a piece of apple inside them (plus they are kind of apple shaped, so the name just sticked during the post-apple era, I guess). In Denmark we usually eat them around christmas dipped in jam and powdered sugar. As a Dane, I can tell you that the correct spelling is aebleskiver 🙂 Yours look wonderful! 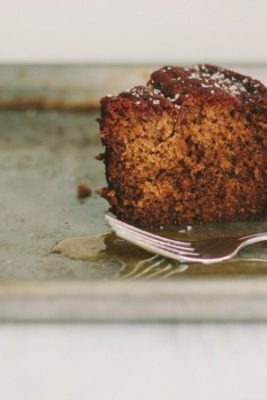 Thank you for this beautiful blog and these delicious recipes. Gorgeous. 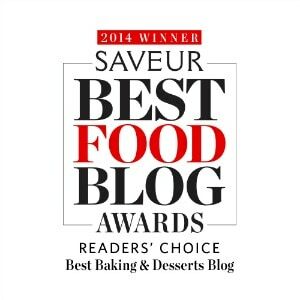 So happy to have found your beautiful blog!